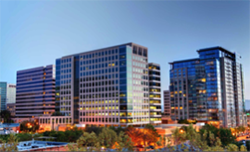 Cal West Property Management serves property owners and investors in San Jose and the surrounding areas. We are Julie and Robert Collins, and we have been the owners and brokers at Cal West Property Management for 20 years. Today, we’re talking about our credentials, and why a property owner would want to choose our company for any rental management needs. When I was 12 or 13 years old, I would drive around with my parents, looking for investment properties. They would find some fixer-uppers and then rent them out or sell them. My father purchased a property management company, and I started working there when I was 16 years old. I was able to see the comings and goings of an actual office. I loved being at the properties and seeing the end results of my work. That was the fun part of property management for me. A lot of experience comes with the years that we have put in. I can predict trends in the industry before they happen. We own investment property ourselves. We’ve been investing in rental properties locally and all over the state of California. So, we have gone through the process of hiring property managers for our own properties. We have been where you are – looking for a management company and wondering why we couldn’t get a call back, or trying to get an accurate description of fees and services. This experience is helpful because at Cal West Property Management, we know how owners and investors are feeling and what they’re looking for. Our company brings four decades of experience specific to property management. A lot of big real estate companies do property management on the side. They aren’t interested in becoming experts in the field. Instead, they’re funneling their sales cloud with property management. We don’t offer that dangling carrot at Cal West. We don’t sell homes. We’re here to manage property. It’s how we earn a living, and it’s our area of expertise. Our staff is highly trained and experienced. From our accounting department to our office manager, they know everything there is to know about property management. There’s also a lot of longevity. Our accounting manager has been here for 20 years, and she knows what makes a statement correct. 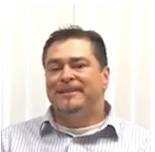 Our maintenance supervisor has been here over 15 years, and our entire team is good at what they do. The educated and experienced team of professionals here has the knowledge to reduce your liability. We understand the state, local, and federal laws. We know what’s required to comply with city codes, and we understand rent control in various cities. Our property managers understand the difference between service animals and emotional support animals and pets. Managing marijuana in your rental property is a big issue recently, and we’re watching the legislation that may be coming. We have had an opportunity to fight for our clients at the local level. We go to city hall in San Jose and the state capitol in Sacramento to advocate for landlord rights. When you own real estate and you work in property management, these things are important. After being in this field for so long, we’ve seen tremendous changes in technology. Twenty years ago, everything we did was on paper or in our heads. Today, we work with a property management software system called Appfolio, which is designed specifically for residential property management. Between that and Google Calendar, anything that needs to be done with your unit or property is systemized and documented. Nothing falls through the cracks. We always know what needs to get done next. We started this business as a portfolio property management company. That means each property manager did everything; we created forms, reviewed applications, showed properties, and scheduled maintenance. Busy was our constant state. Now, we are systemized. We have created departments, which provides a support system for property managers. We have a maintenance department, an accounting department, a leasing assistant, and front desk operations. This enables property managers to gather information and be there for their clients. It’s more flexible, and it allows us to work as a team. Systemizing operations has left our property managers time to call their clients back, which seems to be a problem in our industry. We save you time and hassles. We keep you compliant. We educate ourselves on the things that will help you. Our property assessments, responsiveness, and marketing tools will ensure your investment is protected. If you have any questions, or you’d like to hear more about why you should work with us, please contact us at Cal West Property Management. There are a lot of proactive things you can do while marketing your rental property in San Jose. These tips we are sharing today will help get the quickest response and generate the most interest. You might think you need a big title for your property, but you don’t necessarily have to use words like “beautiful.” Use the title to specify what you want the property to be known for. The title can include the number of bedrooms, bathrooms, and whether you have an upstairs unit. Pick one feature of the community that you think is valuable. Once you get into the body of your ad, you can sell the property and talk about what this particular home is known for. Include information on what utilities are covered, what appliances there are, such as a washer and a dryer, and whether there is gas or electric. Features of the community are also important. If the home is in an HOA with a pool and a spa, you’ll want to include that information. Make sure prospective tenants know what kinds of restaurants, shopping, and businesses are close. Get lots of photos. Posting a video tour is one great option. You should also include a bunch of pictures that really show off the property. The better your photo quality, the better your results. You don’t want photos of dark corners where you cannot see the walls. Show the unit as sunny and not sad. There are many different websites to post your ad. We post to over 30 different search engines. You’ll need to pay for some premium ads here and there. Try Zillow, HotPads, Trulia, and MyNewPlace. Craigslist is also great. On many of these sites, you’ll have to manage your ad. Check it every few days and refresh it when you can. Craigslist is notorious for its traffic, so after 10 minutes, your ad can be on the bottom of their list. That makes it hard to find. Refresh your ad every few days. Craigslist also has other challenges. It’s known for scams, where people will steal your photos and use them on their own fake ad in order to get money from unsuspecting tenants. This isn’t going to hurt you, but you want to help prevent the scam. A sign is a good idea if traffic is going through the area. Identifying the place for rent is also announcing that the house is vacant, so check it periodically. You can do an open house or show the property every time someone calls. We believe that having a number of people arrive at one showing generates competition. So, you might say that you’ll be at the house for an hour or two on Saturday for anyone who wants to see it. There is lots more we can talk about when it comes to rental property marketing. If you have any questions about advertising or anything pertaining to San Jose property management, please contact us at Cal West HMS Property Management. Many landlords are worried about San Jose tenant eviction, and that’s understandable. The process is expensive and time consuming. Today, we are sharing some tips to help you avoid an eviction. First, you need to know what an eviction is, and what it isn’t. A lot of people will come to us and say they were evicted in the past, but they weren’t. They were simply given a notice to vacate. That’s different. An eviction is an unlawful detainer. This is a public record that’s done in a court. It takes about a week to serve the notice and go through the process. The unlawful detainer is the first step towards evicting a tenant in San Jose, once a three-day notice is served. It’s important to stay engaged with your tenants throughout the eviction process. If the tenant fails to pay rent, they will be evicted. But when a tenant fails to pay, you have to follow up and stay engaged. Encourage communication with your tenant. You can avoid eviction by working through the problems together and avoiding the awful mess that is an eviction. Tenants don’t want to be evicted; it stays on their public record and on their credit for a long time. This will prevent them from being able to rent in the future. Make sure you offer incentives. If your tenant won’t comply, or lost a job and is struggling financially, you can help them get out of the property without eviction. Maybe offer them money or give their deposit back. That’s a way to encourage the tenant to get out sooner without having to go through the process. An eviction costs $1,500 or more, so you want to avoid it if possible. It’s important that you be credible when dealing with tenants. If you have a reputation of waffling on promises or commitments, your tenants will feel like they can get away with more. Let them know what you’re going to do, then do it. This provides more credibility. Property management companies do a good job with this, while private owners are often more connected emotionally with their tenants. But you have to follow through. When a three-day notice is served and they don’t perform, give a final phone call and tell them you’re starting the eviction process. They’ll call you back. We don’t want to evict anyone. It serves us all to try to work together and figure out a solution. If you have any problems with tenants and evictions, or you’d like to talk about San Jose property management, please contact us at Cal West HMS Property Management. How Much Does Professional Property Management Cost in San Jose? Property management companies range from small mom and pop shops to major corporate giants who dominate local markets. There’s a lot to discover as you go through the process of choosing a San Jose property manager, and it can feel like a daunting task. You’ll find different fees as you do your searches and try to narrow down your list. You need to know what you’re getting for the price you’re paying, so we want to offer you some advice today. You might see different platforms when you’re looking at the property management cost in San Jose; the flat fee system and the percentage based system, which is more like a performance based system. The flat management fee is when you agree to pay a certain amount every month for whatever services the company is providing. That fee is paid regardless of what is happening with the property. If your home sits vacant for six months, that fee still is charged to you. If the property is rented quickly, you get the advantage of that flat fee because you don’t have to pay anything extra. A disadvantage is that even if the property manager is performing, but the tenant decides not to pay rent, you are still paying that fee to the property manager. There’s an advantage to knowing what you’re going to pay every month but you also can’t be sure if the company is going to be motivated to keep your property rented. The percentage system is more of a performance based product because if the manager doesn’t get your property rented, that manager won’t be paid. If a tenant doesn’t pay rent, the manager isn’t getting paid. In this system, the fees can range from between 5 to 10 percent of the monthly rent. Some companies on the lower end might not provide all the services you expect, and those charging 10 percent might be larger companies that don’t need to compete on price. Another fee you can expect is a leasing fee. This is charged when the property is vacant and your property manager gets it rented out. This is the most intensive part of the property manager’s job. There’s marketing and showing the property, as well as qualifying the applicant and moving in your tenants. Sometimes, there are advertising costs involved. Leasing fees can be a flat amount or a percentage of the first month’s rent, usually between 10 percent and 100 percent. Set up fees may be charged to create your property in the company’s database, and get your financials organized. A coordination fee or a repair mark-up might be charged as well, typically when you have maintenance costs. Some companies charge that because they’re general contractors or just because it’s another revenue source for them. There’s a lot of work that goes into coordinating repairs, and some property managers will only charge for jobs more than $1,500. Whatever you do, remember that a property management company is not simply about the fees. You’re not just choosing between one company and another based on price. Get a full- service company, and take the time to see what they offer and how they work. You need to know if they are organized and structured, and honest with their clients. Get to know the company before you choose one. It’s a bad idea to choose just on price. You have a large asset that they will manage, and it could be a retirement vehicle for you. You need someone who knows the laws and can take care of it. If you have any questions about San Jose property management fees, please contact us at Cal West HMS Property Management. Record number of multi-family housing residential permits issued for 2014: This is the largest number of permits in a single year since Ronald Reagan was president. You would think with over 4,050 permits issued that we would have more housing available. Well not exactly. Rent Price for a 3 bedroom 2 bath up 10% annually, to $3,047.00: Compared to December 2013 when the same property rented for $2,607.00, you can see why only 22% of our community can enjoy living here while nationally the average is 63%. Vacancy rate near all time low: In 2013, the vacancy rate jumped up to 6.9% on the December report. This number does tend to fluctuate wildly in the last quarter but usually it is higher in December and trends downward throughout the remainder of the year. The natural vacancy rate for San Jose is set at 5%. Impressively, our vacancy rate during the first quarter of 2014 was higher than our December number. What does that mean? For Santa Clara County, the first quarter of 2014 ended with a vacancy rate of 7.9%, but as our year concluded, we came all the way down to 4.3%. Since the natural vacancy rate is 5% this means that we have virtually nothing available for rent. Affordability out of reach for Police and Fire Fighters: This disturbing trend has been evident since I started following these numbers closely. Considering that most landlords and/or property management firms require the income threshold to be three times the rent, the average person has to earn $80,360.00 per year to rent a one bedroom apartment in San Jose. The average salary of a fire fighter is about 85,000.00. That is great if you are a single person in your early 20's but if you have a family forget about it. These are the people that protect our city and save lives. Those are some of the highlights. These numbers change often and our company checks rents from May to July each year to see if a rent increase is due. Give us a call if you have any questions about our strategies or if you would like more information on the rental market. You can also go to www.calwestrents.com and click the tools and resources tab for the full report. "you can see why only 22% of our community can enjoy living here while nationally the average percentage is 63%." We are always stronger when we work together. Copyright © *|2015|* *|Cal West H.M.S.|*, All rights reserved. I didn't blog on the third quarter housing numbers but I have been keeping track. Since 2009 I have been reviewing data provided by the City of San Jose. This data comes out quarterly and it helps us develop strategies for marketing our rentals. Go to our tools and resources page to see for yourself. I made some interesting observations by comparing the two quarters. First, in the 3rd quarter we saw the vacancy rate jump from 4.9% to 6.6%. This was news because the rental market had been racing along at a healthy pace like a well conditioned athlete at 4.9% or better for over two years. Then the 4th quarter statistics came out and, for the second quarter in a row, trended upward. Now at 6.9%, barely a tick away from 7% some might want to send up the flares, sound the alarm or launch the life boats. Does this signal the end of our bustling rental revolution? Well it's hard to say. The Bay Area has always been desirable and even with California politics that make you shake your head and wonder if Yogi Bear is running things, we tend to recover quickly and endure hardship a little better than other markets. 7% isn't ideal but if it is any consolation, rents have continued to rise for most residential communities. That is unfortunate for any family making less than $103,000.00 per year but it does say something about the stamina, wealth and desirability of our local communities. The market ebbs and flows but I recommend being a little more aggressive with pricing your rental. Let us see where the summer leads us. Join me as I talk with Eric Heckman on his radio show, wealth creator radio, Sunday at 11:30am on KLIV 1590 AM. Heckman Financial and Insurance Services, Inc.
Hi again everyone.The second quarter housing statistics for the city of San Jose are out and they have surprised me a bit. The first quarter of 2013 showed that rents were continuing to rise but the pace of growth had slowed substantially. In the fourth quarter of 2012 and in the first quarter of 2013, rent pricing had begun to slow and was holding steady at 8% growth YoY. That was down from 10% YoY in the third quarter of 2012. With two consecutive quarters of slowing, I expected the trend to continue and I was beginning to prepare my owners for the inevitable downturn of our rental market. But then the second quarter comes out and shows that rents are up again, a lofty 9.8% YoY. The average rent price for a three bedroom home is now $2,554.00. That is up from last quarter, when the price was $2,411.00, pushing rental housing even more out of reach for many in the San Jose area. And it is getting more difficult to purchase a home as well. The median price for a home in Santa Clara County is $811,000.00, a whopping 25% YoY increase. The housing sales data will have a measurable impact on the rental market in the coming months. Note that all data collected for the City of San Jose Housing Statistics Report were provided by Real Facts and surveyed only projects of fifty units or more but this is still a very good indicator of where the market is going. Other sources include Employment Development Department, and the City of San Jose Housing Department. Take a look at our website for the housing numbers on the tools and resources page of our website or simply click here. Meanwhile, I keep an eye on the market so we are not surprised in the future.